Great Southern California weather greeted racers and spectators alike for Day 2 of the 2013 SCSDA Season Opener. The Top Alcohol saw some blistering fast performances as Gary Mink took the top spot by just three-thousandths of a second with a 2.480 to Jim Hammond’s personal best and first ever run in the 40’s (2.483). The Top Eliminator class saw defending class champion Billy Morris slip into the top spot with a 2.954 in the final qualifying session with the Morris Family Racing Dragster. TE also featured a Race-In first round of eliminations to narrow the field to eight; Ron D’Artenay, Marc Whitmore, and Sid Payne all earned their way into Sunday’s show. Art Cronin shoed the Meltdown Dragster to a 2.83 blast to lead the Four-cylinder contingent into race day. Clayton Record stole the show for the bracket cars as he won the Sportsman 2 class, and went into the late rounds of Sportsman 1 as well as the Pro Gambler. Likewise on the bracket ATV’s side, Craig Wright was the star of the show winning both Motorcycle Sportsman 2 and the Motorcycle Gambler class. Other winners on the day included Christopher Wells (Sportsman 1), Garrett Ratliff (Motorcycle Sportsman 1), and Derek Balcunas (Pro Gambler). 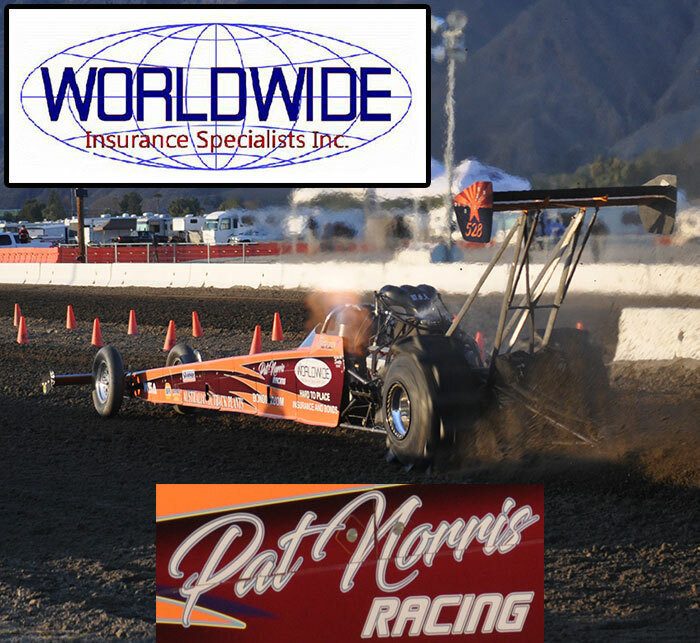 Racing action concludes on Sunday with Eliminations at the Soboba Casino. The 2013 season for the Southern California Sand Drag Association kicked off on Friday with Test and Tune as well as first round Qualifying for the Heads-Up categories. Jim Hammond ran a personal best 2.54 to lead the Top Alcohol class with the April’s Dream Hemi-powered Dragster. Paul Taylor came to Soboba ready for battle with his “Outta Control” TE Dragster carding a 2.961 to lead the class after one session. Mario Tavares ran a 2.94 to lead the Fast Fours contingent while Jimmy DePasse carded fast time in the Pro Mod Unlimited class with a 3.06. Sportsman class bracket action as well as Final Heads-Up Qualifying is on the docket for Saturday.